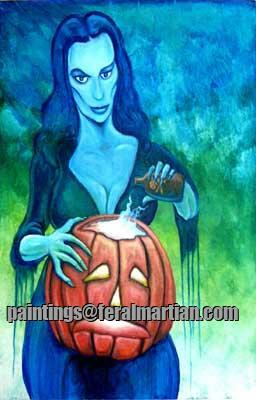 Another painting that riffs on a Vampira promotional photo from the fifties. She's my all-time favorite, the first late-night horror host and a woman to boot. She paved the way for the Ghoulardis and Zacherlys of the future. Killer!